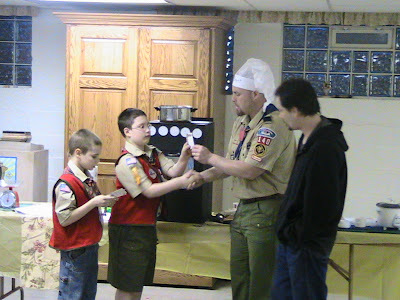 Good job to Tom and Jacob for all of their advancement last night! Tom received about 4 or 5 of his Tiger beads last night. 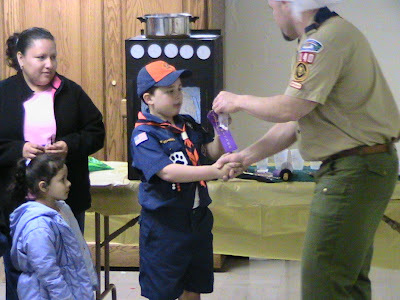 He now only needs 2 or 3 more until he earns his rank badge! Way to go Tom! 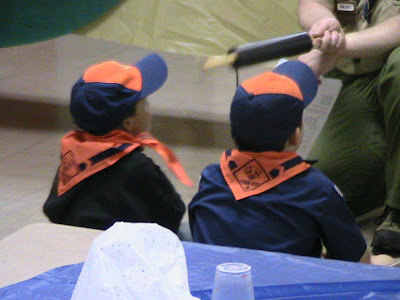 Here's Jacob earning his Webelos badge! Way to go Jacob. All of your hard work paid off! 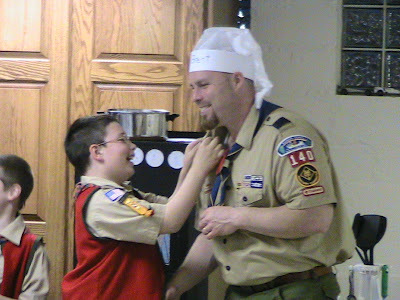 And here's Jacob pinning it on his dad. He would have pinned it on me, but I was being the camera guy. Oh well. 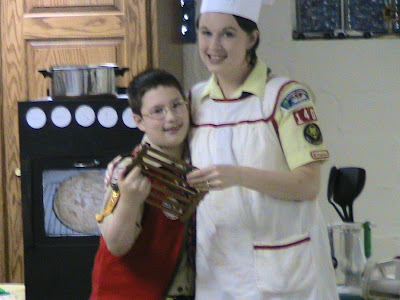 But I did go up front when Jacob gave me the Mothers Day present that he made in the den meetings. It's a wooden Hot Plate. He built it, and stained it. Good job Jacob! I'll use it and think of you! 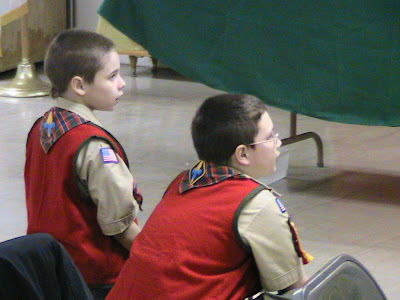 And here are the scouts, listening attentively!